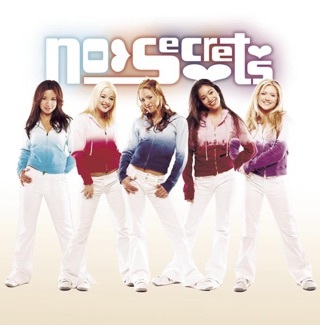 I only know a couple of songs on this CD, but I was a HUGE A*Teens fan when I was younger. My absolute favorite song for a while was Floorfiller; I would put my CD player on repeat just for that song. If I had had an iPod back then, that song would have most likely been the top song on my Top 25 Most Played. And I remember the song "Can't Help Falling In Love" having a music video on Disney Channel for the movie Lilo and Stitch. Oh, A*Teens, what happened?! After scaling the heights of Scandinavian pop perfection with "Teen Spirit," the group came crashing down to earth with this uneven mess, which comes across as nothing more than a cynical attempt to break into the US market. At times, the band retains some of its former glory, especially on the amazing track, "Closer To Perfection," which has to be the best 80's song not actually from the 1980's. Its pounding synths and wall of sound harmonies bring to mind a poppier version of "Dare"-era Human League. Sadly, nothing else on the album comes close to this track. Which is not to say everything else is awful, in fact there are some pleasant pop songs, namely the cover of "Can't Help Falling In Love," and the ballad "Hi and Goodbye" that would not have been out of place on the far superior album "Teen Spirit." Others, like "Cross My Heart" and "Let Your Heart Do All The Talking" have their merits, but would probably at best be considered guilty pleasures. Then there are the real horrors, which fall into 2 categories: really plodding ballads that are sung off-key ("This Year" and "In The Blink of An Eye") and attempts at being edgy while still appealing to the tween-set that listens to Radio Disney ("Floorfiller," "Slam," and "School's Out," all of which sound like Aaron Carter castoffs). Download "Closer to Perfection," give "Can't Help Falling In Love" and "Hi and Goodbye" a listen, and sample "Let Your Heart Do All the Talking" and "Cross My Heart" if you're feeling generous.